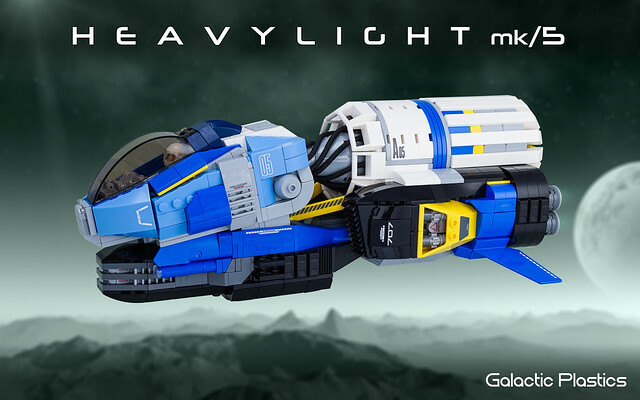 Nick Trotta brings us the Heavy Light Mk/5. Mark tells us this began with major inspiration from a sketch by the talented J. C. Park. As the build continued Nick put in his own refinements with help from a number of building buddies. The colour scheme is great with the wonderful yellow accents really popping. One of my favourite aspects of the build is the way this looks like a real world craft rather than a sci fi build. The complex angles are seemlessly integrated and the snot work all over is very easy on the eye. I'm also a big fan of the subtle sticker use and the engine details too. If like me, you want to see more about how this craft is built, you can watch a quick video Nick has uploaded on his stream.